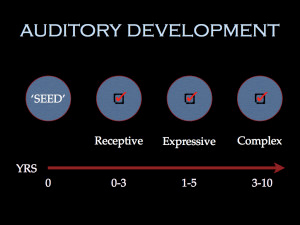 The human auditory system begins development very early after conception. Balance and hearing functions are both produced in the ear. 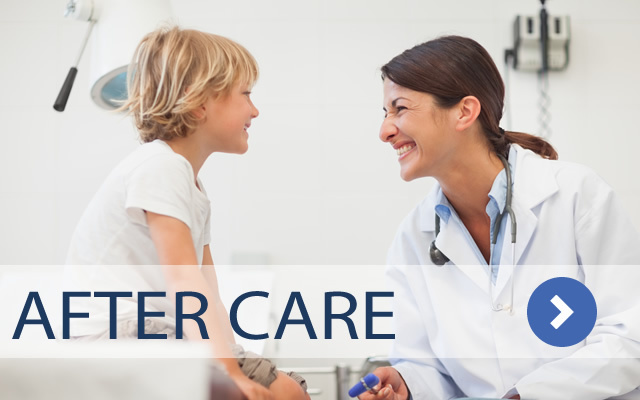 Three components are needed for normal function: the outer, middle and inner ear. The outer ear includes the pinna (also called the auricle), and ear canal. 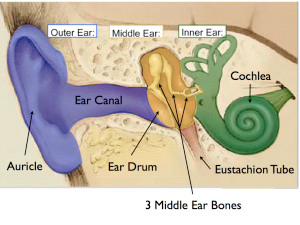 The middle ear includes the eardrum and three middle ear bones. 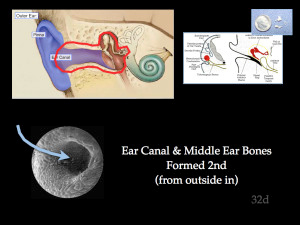 The inner ear contains the three vestibular (or balance) canals and the snail shaped cochlea where the hearing nerve is located that will carry sound signals to the brain. The inner ear begins formation just days after conception – even before a mom knows she is pregnant. Ear canal development starts 2 or 3 weeks after conception, is complete by 6 weeks and the outer ear is formed by 10 weeks after conception. In the high majority of cases of AM, the inner ear (including the hearing nerve) is normal. 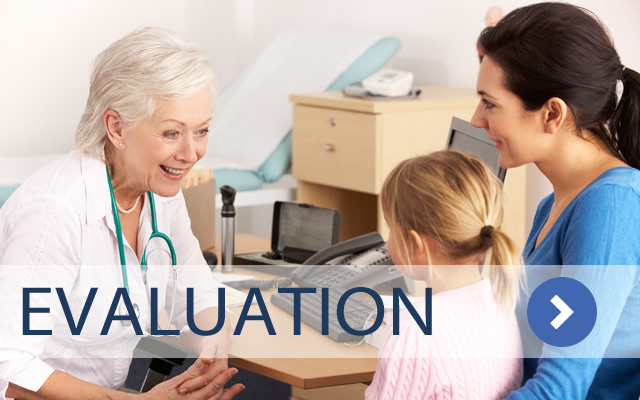 Testing during the evaluation process is used to confirm normal inner ear function. Normally, the outer ear, ear canal, eardrum and middle ear bones work together to conduct the small vibrations of sound to the inner ear. In the inner ear, the cochlea contains hearing nerve cells that turn the vibrational energy of sound into electrical signals to be carried by the brain via the hearing nerve. Hearing Explained from CEI Medical Group on Vimeo. 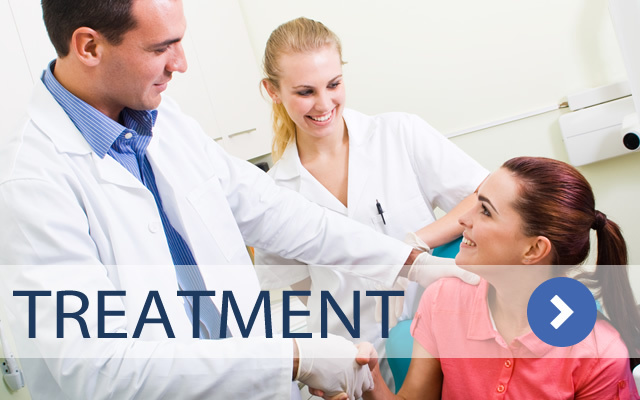 Hearing is a system that has a critical period of development. Developmental specialists know that this means if sound input is not received early in life, the system will not develop at a later date. 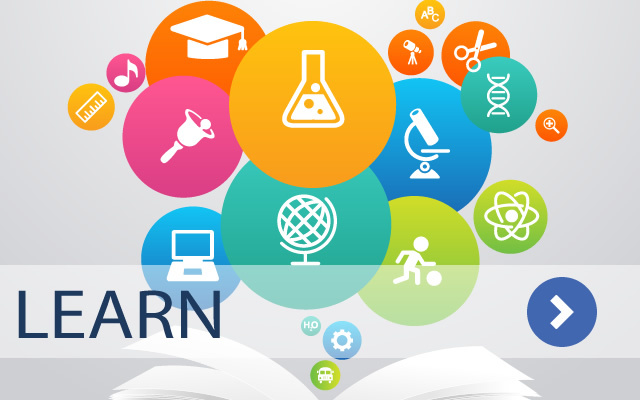 In the human auditory system, the first five years of life are particularly important with the great majority of auditory brain development occurring during that time period. For auditory and brain development early sound stimulation is best for maximum results. It is for this reason we recommend hearing reconstruction earlier than any other group. In general, receptive language develops first over the first three years. Receptive language is understanding what is being said. Children will understand what is said to them before they can speak well. From ages 1-5 expressive language begins and is defined as our vocabulary and sentence structure. Even a small hearing loss during these first 5 years can lead to reduced vocabulary, sentence structure and language development. Complex brain functions develop up to 10 to 12 years of age. Complex hearing and brain functions are needed in noisy situations – like classrooms, at work and in social settings. Two ears are needed for complex hearing and brain function.